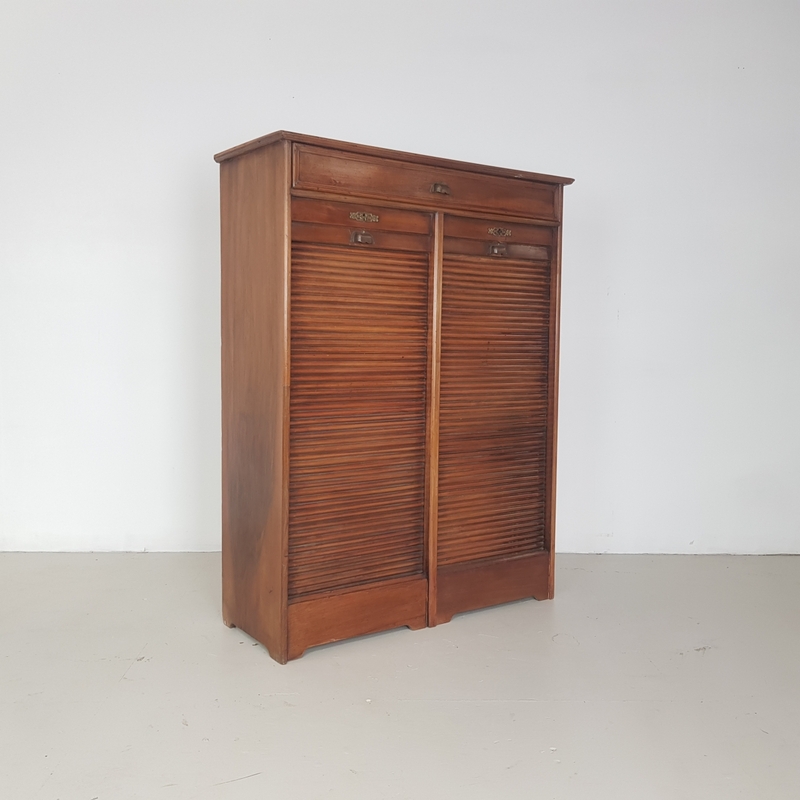 Very lovely filing cabinet with tambour front from the 1920's/30's made of walnut. With working lock and key and the shelves are all removable. In good vintage condition. Some scuffs here and there, as to be expected. Please bear in mind this is very old so is not in perfect condition. A fantastic piece of vintage furniture with loads of impact.